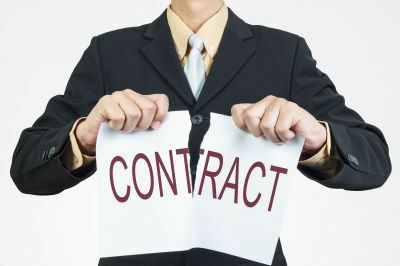 As a practical matter it is far from simple to prove a tortious interference with contract claim under New York law. 2) That the defendant did so without justification. "Why is that so hard?" you ask. The answer lies in the latter prong - without justification - because that is where many defendants have successfully defeated tortious interference claims. All the defendant needs to show is that their actions were undertaken for their own legitimate economic interests. In other words, garden-variety competition is considered "justified," and a valid defense when it comes to tortious interference claims. Make no mistake: that is a very broad category. Strange as it may sound, the rationale for this rule, which, at first blush, seems rather unfair to the plaintiff (whose customer contract was just broken due to the acts of the defendant in inducing the breach), is grounded in solid public policy. After all, if the defendant can offer the customer better service or product, or at better prices, why shouldn't the customer be allowed to do so? Stated differently, any contrary rule would inhibit, rather than foster, healthy competition. Based on the above, the instances where a plaintiff is able to prove that a defendant's actions weren't justified when they interfered with an existing contract will be rare. The reason should be fairly obvious: in the vast majority of cases, the only reason anyone would be interested in inducing a customer to break its contract with a service provider is in order to secure that customer's business for themselves. 1 Comments to "The Best Defense to Tortious Interference Claims in New York"
Just curious if the NRA lawsuit against Governor Cuomo alleged tortious interference by him allegedly pressuring financial institutions not to do business with the NRA. He has publicly stated that he would like to put the NRA out of business. Post a Comment to "The Best Defense to Tortious Interference Claims in New York"
Jonathan helped me get the result I was hoping for.